Welcome to those of you joining me from A Disney Mom’s Thoughts and those of you just hopping aboard! I am the final stop on our Magical Blogorail. 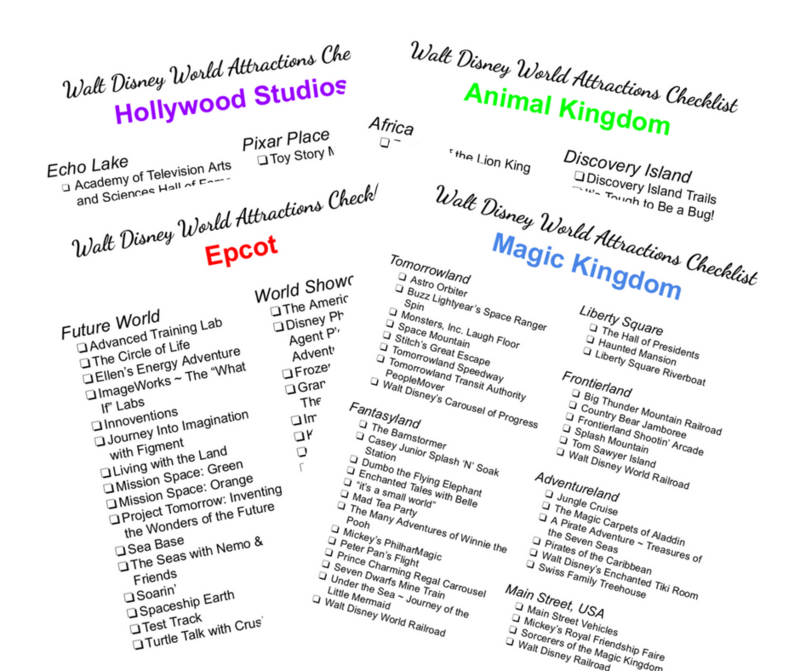 I’m thrilled to be joining the Magical Blogorail for the first time this month and it’s a topic I have very strong feelings about…the best way to end a Disney vacation! Every Disney trip, no matter how magical, must come to an end some time. Do you have anything special that you absolutely must do one last time before you go home? For me, no trip is complete without one last stroll down good old Main Street, USA in the Magic Kingdom. 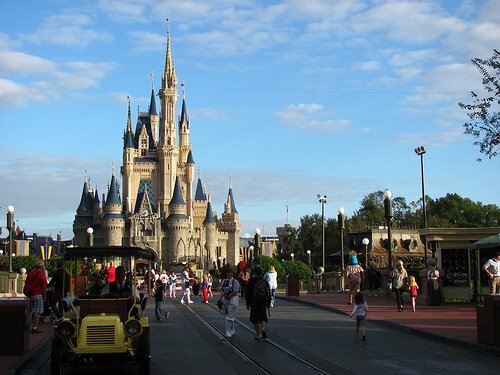 I absolutely love seeing the busy shops, all of the happy people, and finally…Cinderella Castle. Many Disney fans need to do this first on their trip to Walt Disney World, before anything else. But I need to finish my trip this way. Spending one last evening in the Magic Kingdom is a must. In my opinion, Main Street at night is even more special. I personally love seeing everything all lit up, especially the beautiful Main Street train station. It’s an experience all its own! Leaving Walt Disney World is always very sad, but spending a few final moments on Main Street softens the blow for me. Well, just a little. How do you like to spend your last moments at a Disney park? Thank you for joining Magical Blogorail Red this month. We will be back on October 2nd with an all new theme. Keep checking in with our blogs in between loops to keep up to date with our Disney info, photos, and stories. 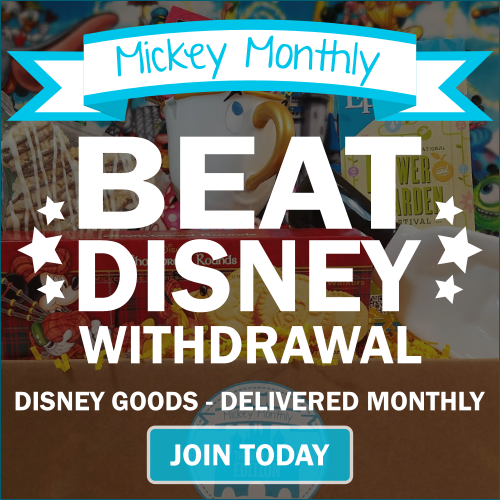 If you are looking for more Disney magic, you can make your way over to The Magical Blogorail website to see all our members and their blogs, as well as our previous loops. I feel wispy every time I walk under those arches for the last time. 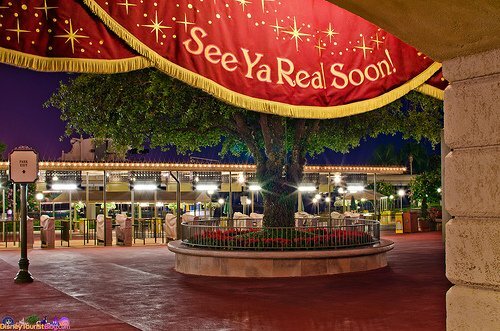 We always spend our last moments at Magic Kingdom, and I always cry when we exit. My heart belongs on Main Street, U.S.A! That sounds like a great way to end a trip. I find myself getting jealous of the people walking in while I’m walking out. I just don’t want to leave! Do you have a favorite shop on Main Street? Definitely the Emporium! It’s not the biggest gift shop in the parks, but it’s still my favorite. Yes, Yes, Yes!! I must walk down Main Street USA and cry on my last day! I cry when I enter and cry when I leave! 🙂 Seeing these photos make me realize how much I need to work on my Main Street photography! Do you wait to be one of the last ones leaving the park on the lsat day? Last year was our first family trip (my last trip prior to that was in 1994) and my boys weren’t night owls at the time, so we never stayed late. My wonderful hubby did put the boys to bed one night so I could go to the Magic Kingdom alone and it was wonderful! So glad you’re a part of the Magical Blogorail! I always try to take in my last stroll down Main Street as much as I can. I agree, it is extra magical at night! Have you seen it at night around Christmastime? The lights and decorations are beautiful! So glad to have you aboard MBRed, Cindy! I love the way you end your visit on Main Street, USA. 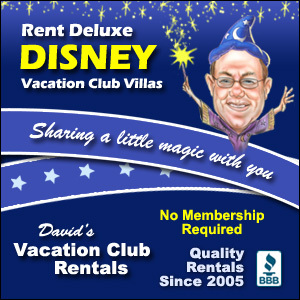 You’re right, that is how my family usually begin our Disney visits! What’s the best part of the evening? The fireworks? The shopping? Or just the whole atmosphere? Thanks, Jodi! Really I just love the whole atmosphere of Main Street. One of my favorite part of any Disney trip is spending time on Main Street so I agree that it is only fitting to end a trip this way! I love waiting until after all of the crowds subside and casually stroll out of the park. (Kicking and screaming lol) Do you have a favorite store to hop in? The Emporium is my favorite! But I did make the mistake of stopping in right after Wishes last time. It was a teensy bit crowded. What pretty nighttime pictures of Main Street. It’s always so bittersweet having to go home, isn’t it? I wish I could take credit for the photos. Since next year’s trip will be my first as a blogger, my hubby has already been warned that we will be taking pictures of EVERYTHING! Great first post! 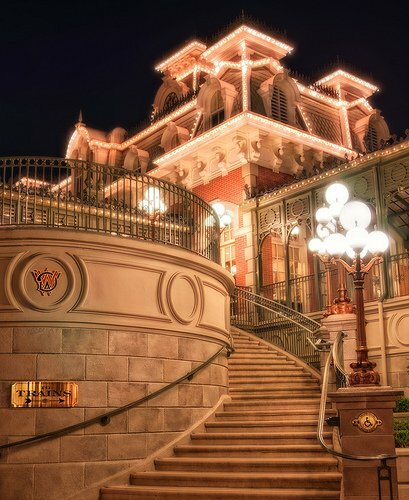 I have to admit… I don’t think I would enjoy walking out of Main Street just before going home – too sad! 🙂 We generally like to enjoy a Mickey bar and a show from the Fountain of Nations in Epcot. That sounds like fun too! 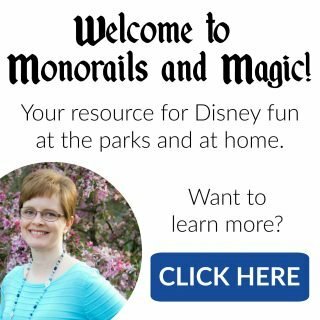 Monorails and Magic is a Disney fan website and is not in any way affiliated with or endorsed by Walt Disney World or the Walt Disney Company. Copyright © 2017-2018 Monorails and Magic. All rights reserved.